We are pleased to announce we are developing a new WordPress powered CMS website for Just Add Popcorn. 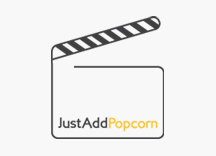 Just Add Popcorn offer complete audio visual solutions for the discerning home cinema fan, from a one room plasma TV install, to a full turnkey cinema solution with multi room audio and more. A sneak preview of the stunning new design will be coming soon – watch this space. We have worked with KDR Creative for nearly 10 years on many programmes and projects. These have ranged from the development of large, bespoke websites and multimedia projects to small, one-off consultancy activities. In all of our dealings with KDR, my team and I have found Karim and colleagues to be conscientious, flexible and professional at all times. All of our projects have been delivered on time and on budget and for value for money KDR is hard to beat.